Alli was bought from MK Dons during the winter of 2015 and he was thereafter allowed to spend the remainder of the 2015/16 season on loan with the then-League One outfit. 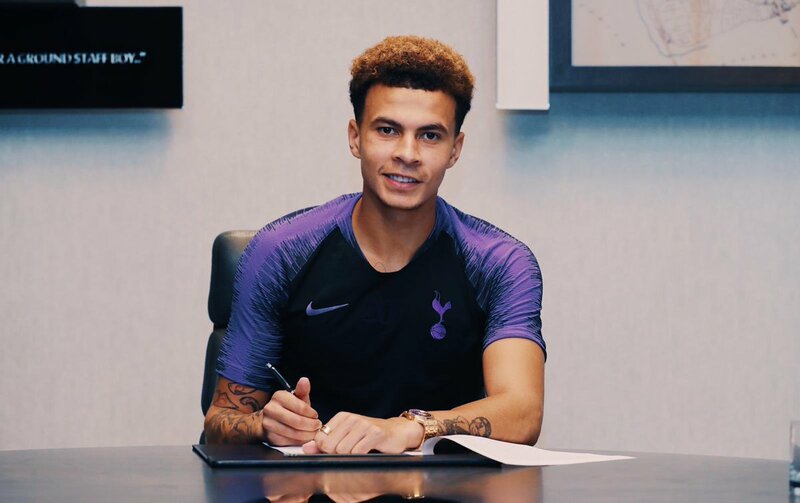 In the campaign thereafter, Alli made the jump to the Spurs first-team and he has since been a revelation for them contributing 38 goals and 26 assists – more than what Steven Gerrard and Frank Lampard had achieved during the same stage of their professional careers. Meanwhile, Alli has also made a name with the England national team after bagging 31 caps and his most significant goal came during the quarter-final of the World Cup against Sweden. At present, Alli is seeking to acquire his complete fitness after an extended absence due to a hamstring problem and he was only a late substitute during Spurs’ 1-0 Premier League defeat to Manchester City on Monday night. The attacker could not make much of an impression with the 15 minutes on the playing field but he could be handed a much extensive role when Spurs make the trip to West Ham United for the fourth round of the League Cup on Wednesday. This entry was posted in Uncategorized and tagged Dele Alli, Frank Lampard, Tottenham Hotspur. Bookmark the permalink.